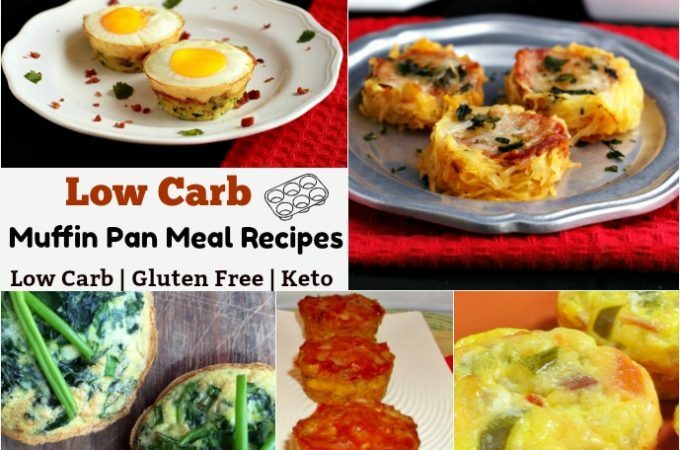 Easy to make Muffin Pan Meal Recipes Low Carb & Gluten Free. 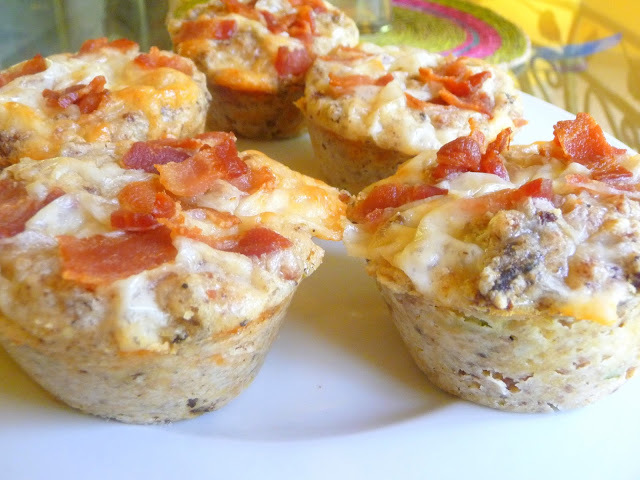 Savory, low carb, breakfast, lunch and dinner recipes that are made in a muffin tin. 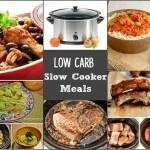 Click the photos below to go to the recipes. 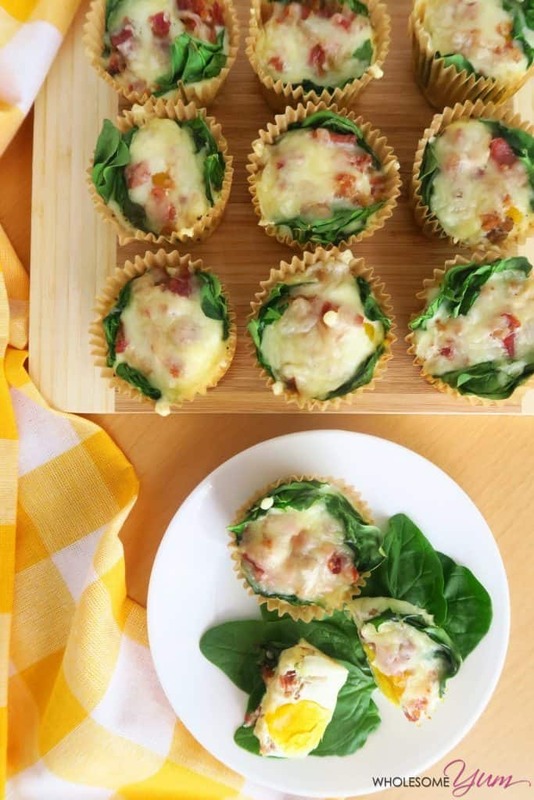 Low carb egg and chopped bacon baked in a nest of grated zucchini. 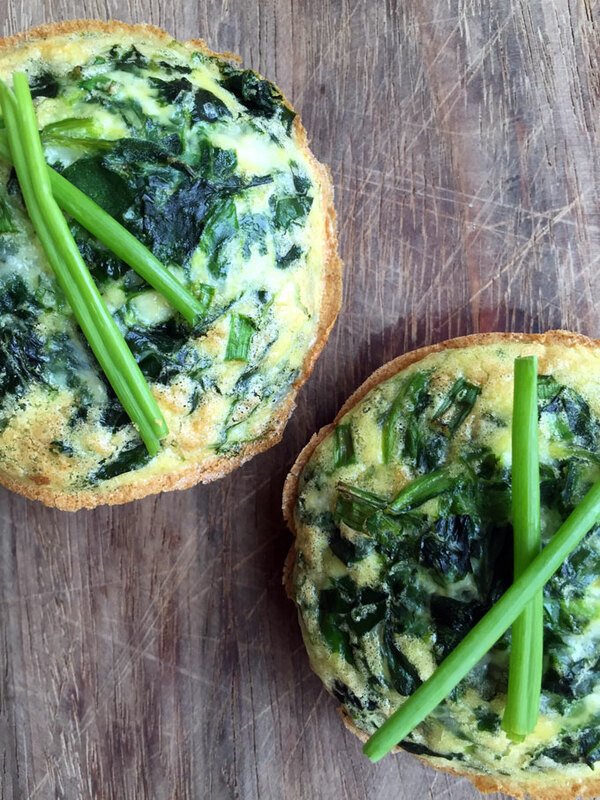 These low carb egg muffins with spinach and cheese make a quick grab and go breakfast, or even lunch. From Wholesome Yum. 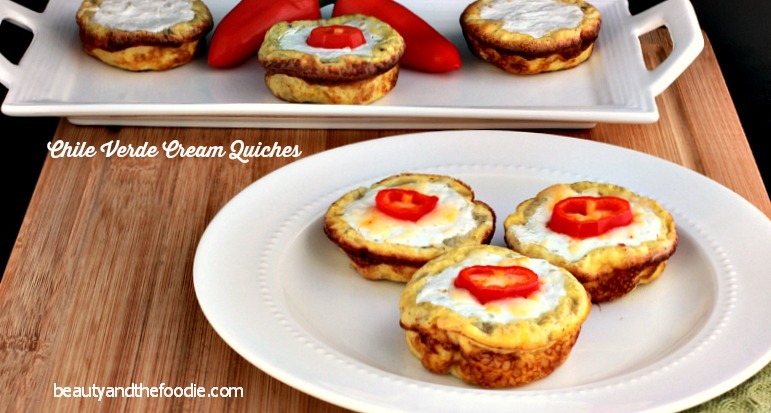 Sausage and chili mini quiches with a sour cream salsa topping baked in. Simple and tasty! 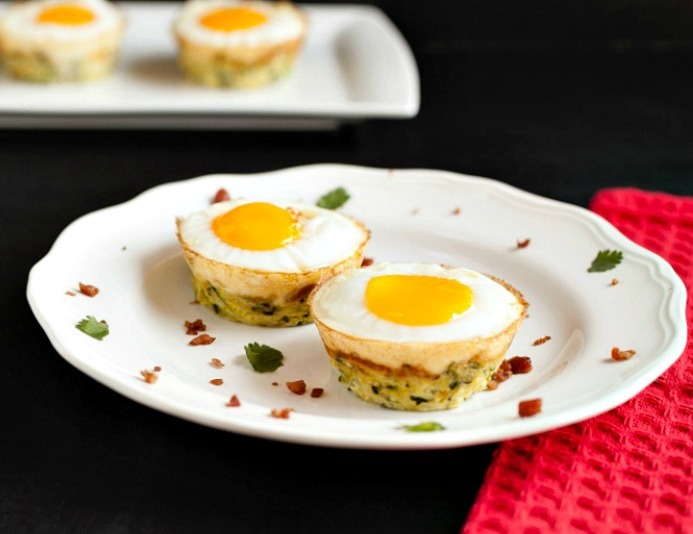 These Sausage Crusted Egg Muffins are a great make ahead breakfast idea for busy mornings. 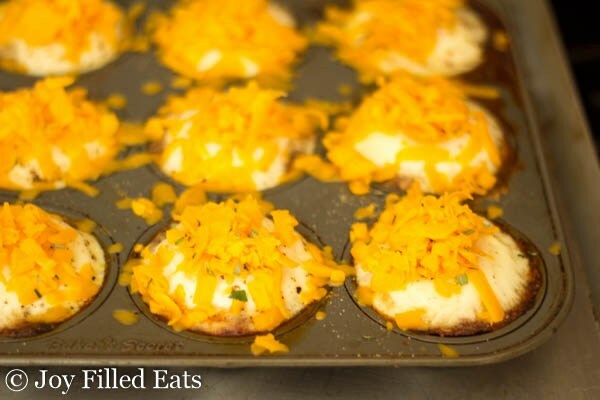 They reheat easily and are perfect to grab and go. From Joy Filled Eats. 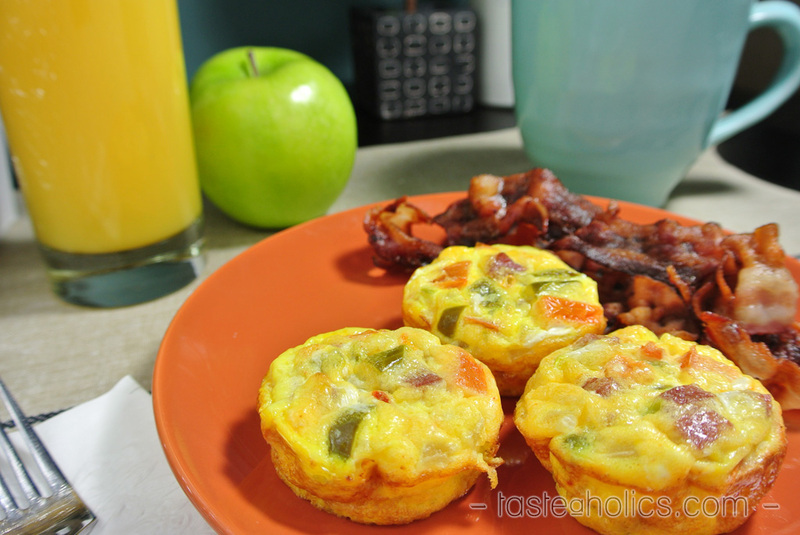 The holy grail of foodie goodness: Vegetables for breakfast! 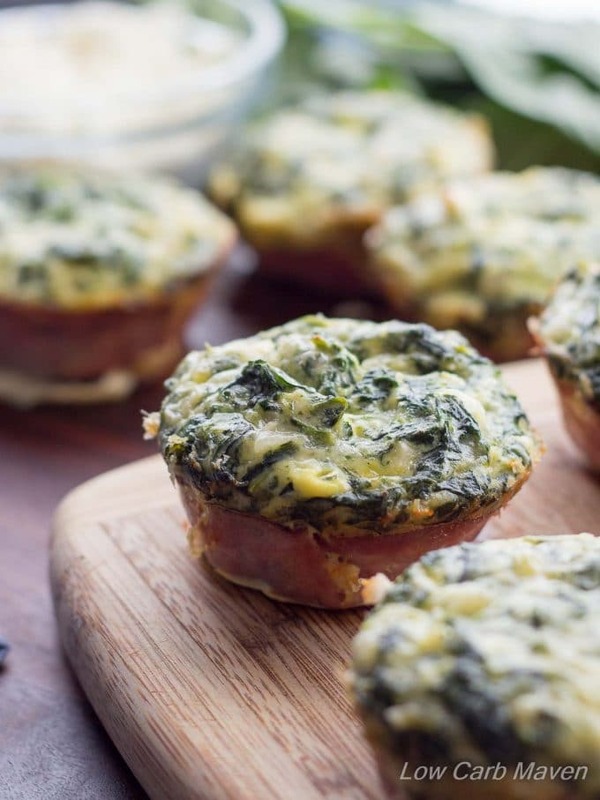 These Spinach and Chive Mini Quiches are easy to make and almost too good to share. From Sugar Free Londoner. 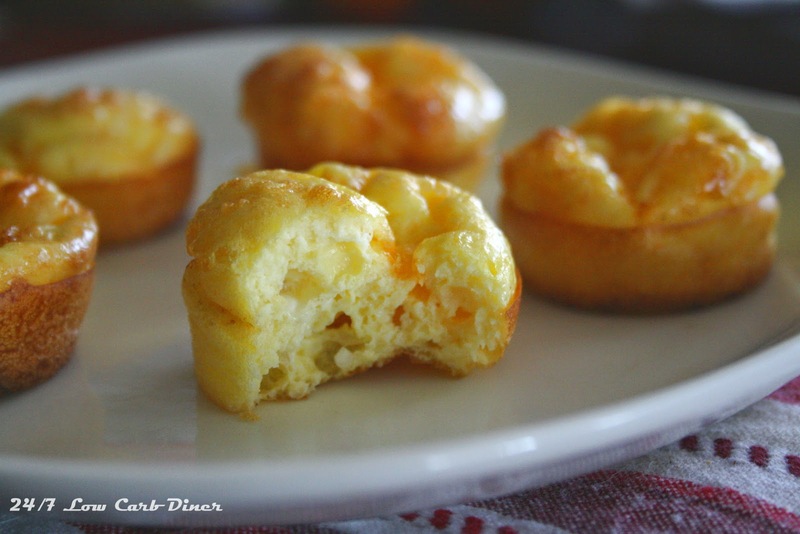 Light, puffy and cheesy breakfast puffs from 24/7 Low Carb Diner. 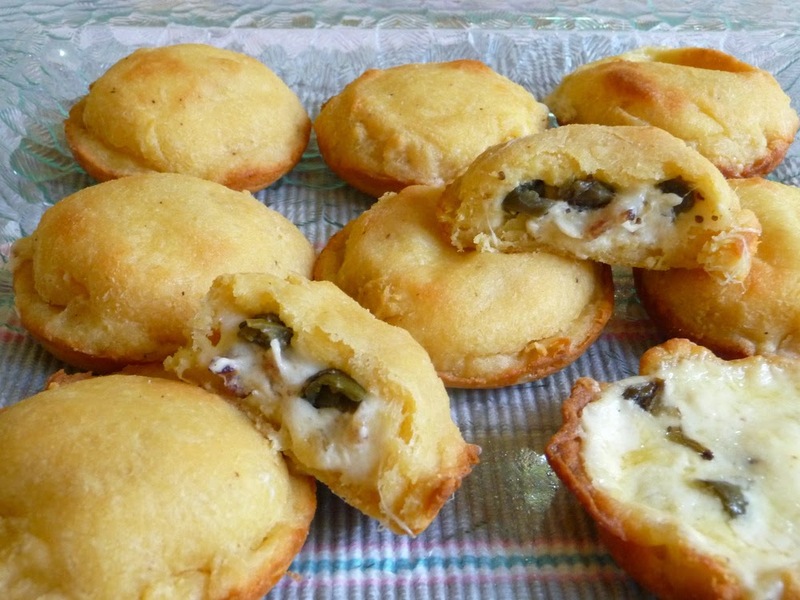 Super creative and delicious alternative to the usual stuffing recipes. From Splendid Low Carbing. 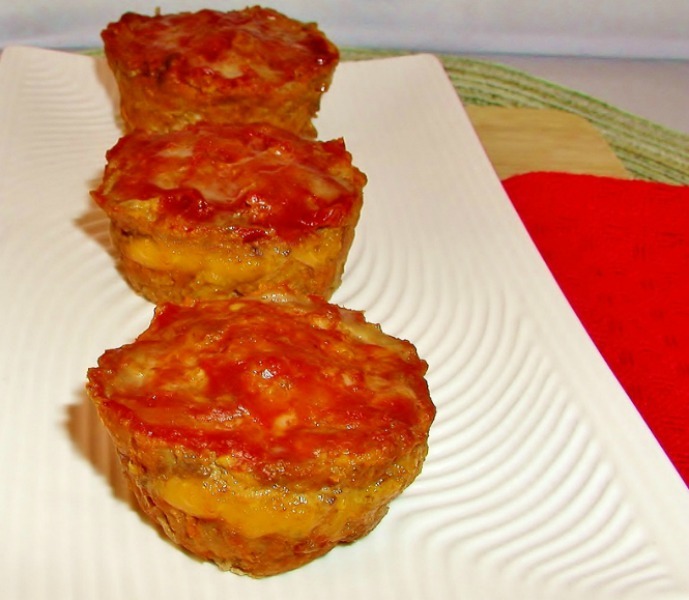 A simple, tasty mini meatloaves with melted, cheese center. Grain free, low carb, & primal. 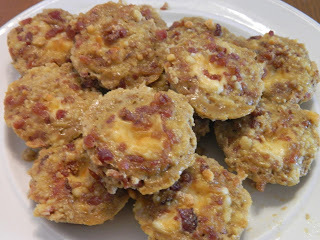 Such a great appetizer! You can make it as spicy as you would like it to be. From Splendid Low Carbing. 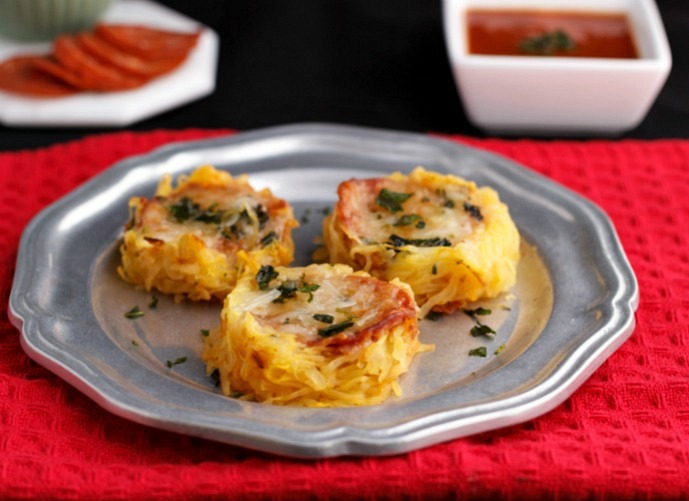 These low carb, gluten free Spaghetti Squash Pizza Nests are made with low carb spaghetti squash and filled with pizza toppings. These are such an easy dish to throw together for supper tonight. 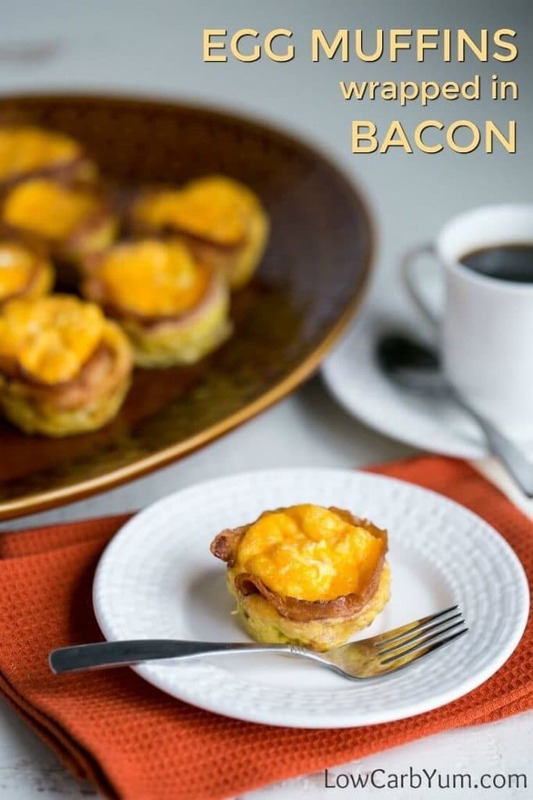 From Ginny's Low Carb kitchen. 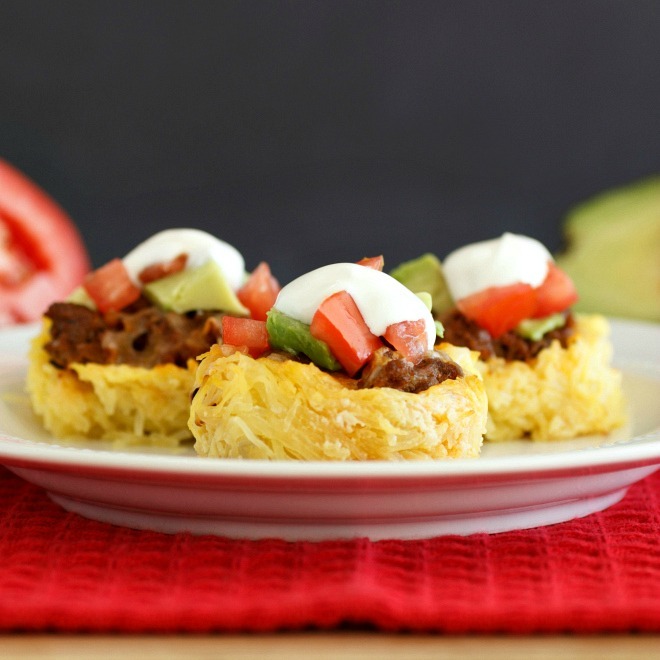 Low carb mini nests of spaghetti squash with taco meat filling and tasty toppings from Beauty & the Foodie. 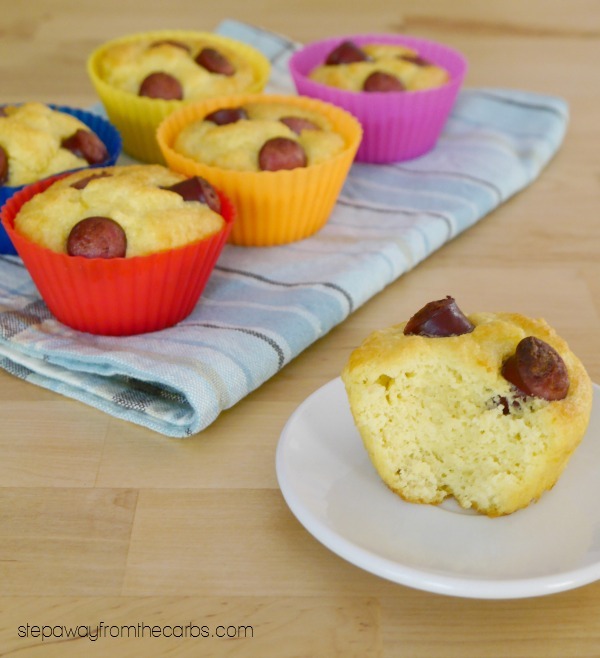 Thanks for including our yummy corn dog muffins!!! 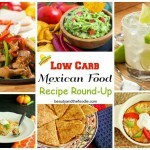 Great Roundup and perfect portion control. Thanks for including one of mine! Thank you for contributing Kim 🙂 Trying out a new layout this time. 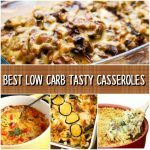 Great collection of low carb muffin pan meal ideas! I’m ready to start baking!